Lighter than its predecessor, the Hurricane 3 will put them in the eye of the fun! Jacquard webbing upper. Patented Universal Strapping System with hook-and-loop straps. Antimicrobial lining keeps feet fresh. Supportive EVA midsole has padded heel for comfort, stability and shock absorption. Non-marking Durabrasion Rubber&amp#174 outsole provides durable traction across any surface. Imported. Measurements: Weight: 4 oz Product measurements were taken using size 9 Toddler, width M. Please note that measurements may vary by size. Weight of footwear is based on a single item, not a pair. The day is smooth, bright and enjoyable don~t forget your flip-flops! 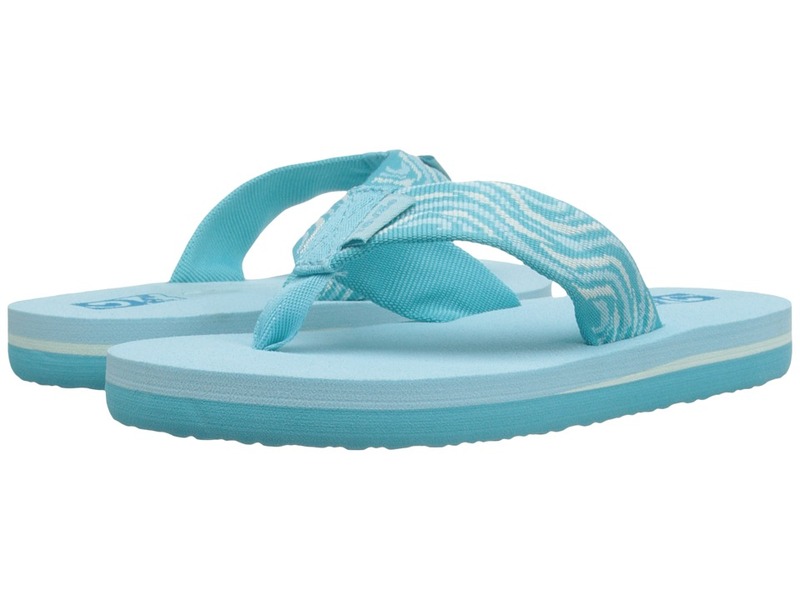 Three-point synthetic strap with fabric toe-post. Eye-catching stitched pattern strap. Soft Mush footbed provides cushioned comfort and support. EVA outsole with Mush traction pattern. 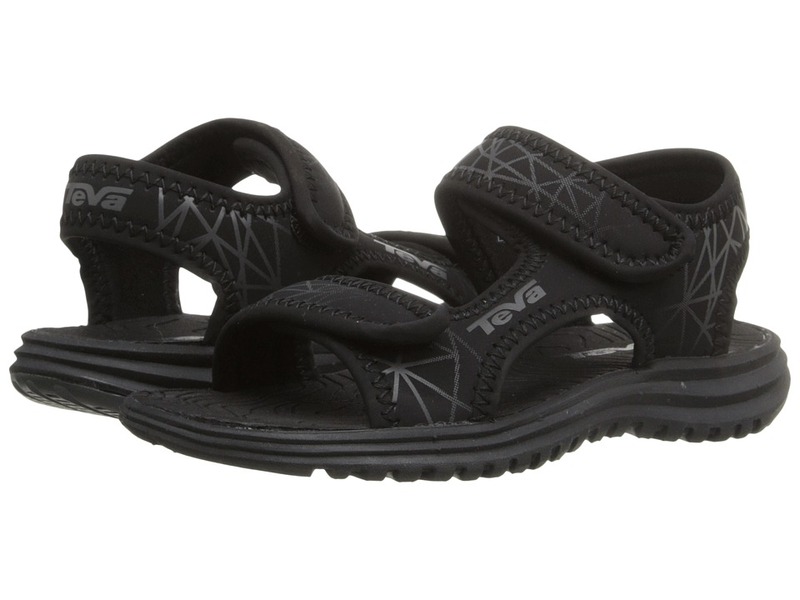 Teva logo at strap and footbed. Imported. Measurements: Weight: 2 oz Product measurements were taken using size 2 Little Kid, width M. Please note that measurements may vary by size. Weight of footwear is based on a single item, not a pair. 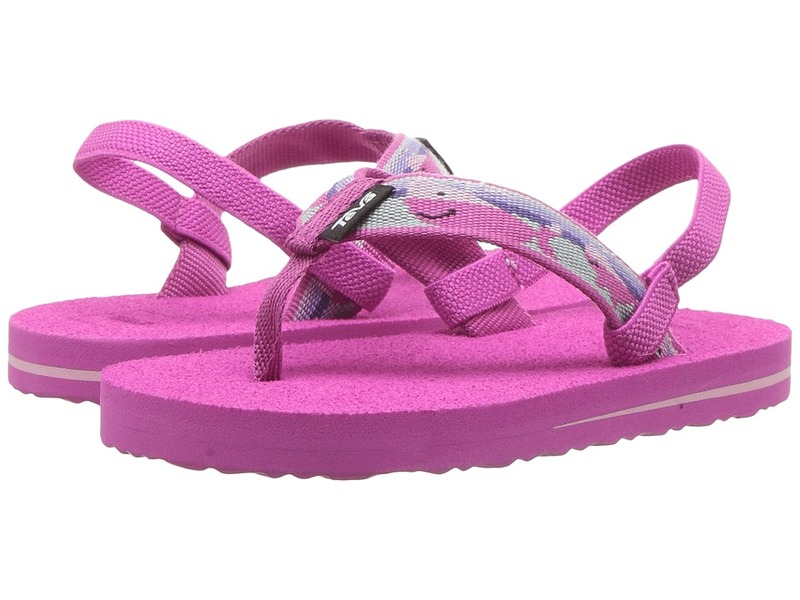 The amphibious Tidepool, from Teva Kids, will accompany them in and out of the water! Water-friendly synthetic upper is cool and comfy. Dual hook-and-loop closure system for easy on and off. Foam lining for plush comfort. Antimicrobial EVA footbed is cushioned for all-day comfort. Lightweight EVA midsole for cushioning that won~t weigh you down. Versatile rubber outsole with flexibility. Imported. Measurements: Weight: 2 oz Product measurements were taken using size 7 Toddler, width M. Please note that measurements may vary by size. Weight of footwear is based on a single item, not a pair. Lighter than its predecessor, the Hurricane 3 will put them in the eye of the fun! Jacquard webbing upper. Patented Universal Strapping System with hook-and-loop straps. Antimicrobial lining keeps feet fresh. Supportive EVA midsole has padded heel for comfort, stability and shock absorption. Non-marking Durabrasion Rubber&amp#174 outsole provides durable traction across any surface. Imported. Measurements: Weight: 2 oz Product measurements were taken using size 5 Toddler, width M. Please note that measurements may vary by size. Weight of footwear is based on a single item, not a pair. The day is smooth, bright and enjoyable don~t forget your flip-flops! Three-point synthetic strap with fabric toe-post. Eye-catching stitched pattern strap. Elastic back-strap keeps feet in place. Soft Mush footbed provides cushioned comfort and support. EVA outsole with Mush traction pattern. 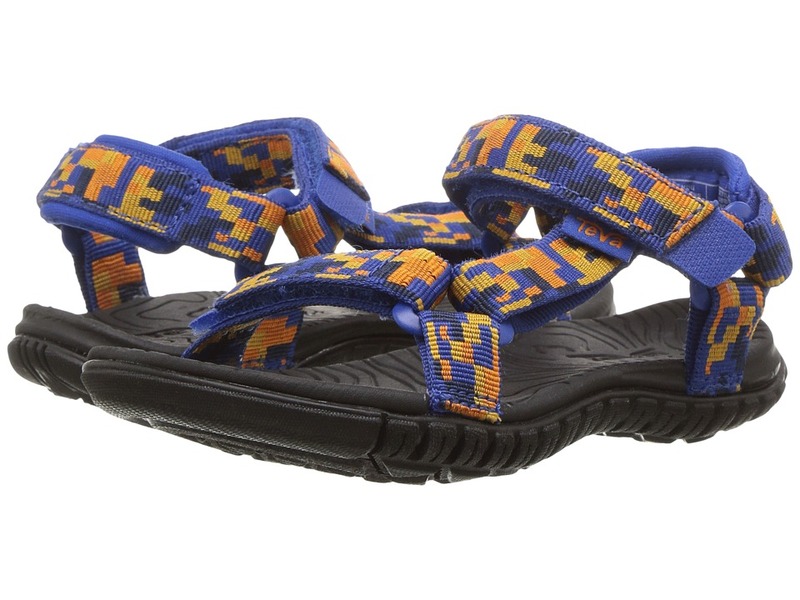 Teva logo at strap and footbed. Imported. Measurements: Weight: 1 oz Product measurements were taken using size 9 Toddler, width M. Please note that measurements may vary by size. Weight of footwear is based on a single item, not a pair. The day is smooth, bright and enjoyable don~t forget your flip-flops! 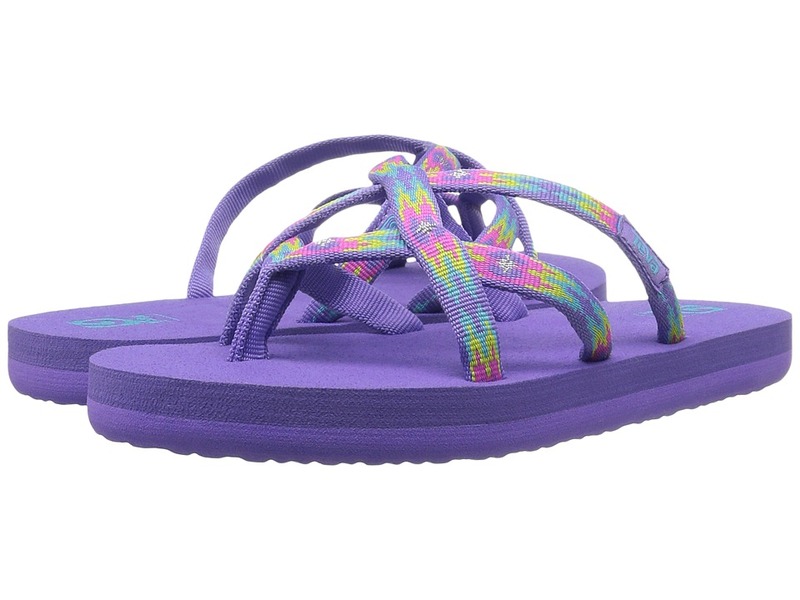 Three-point synthetic strap with fabric toe-post. Eye-catching pattern or sequin detail at strap. 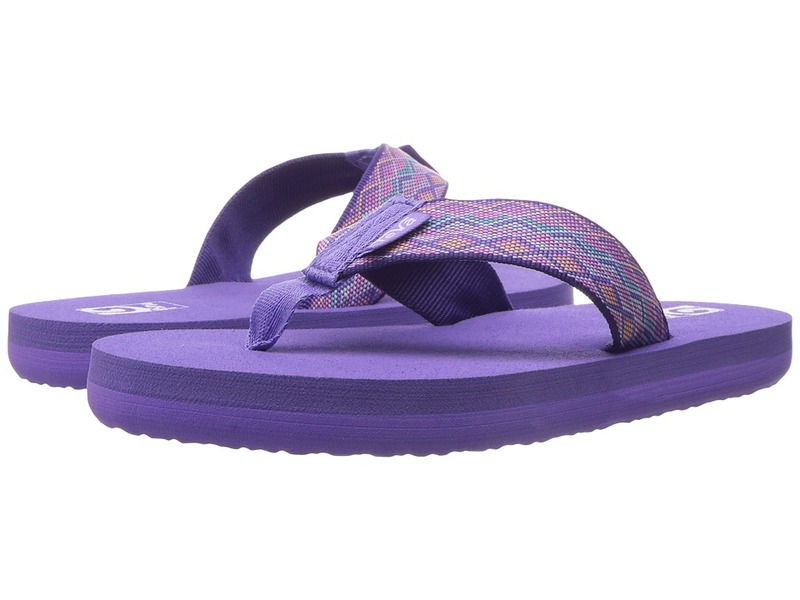 Soft Mush footbed provides cushioned comfort and support. EVA outsole with Mush traction pattern. 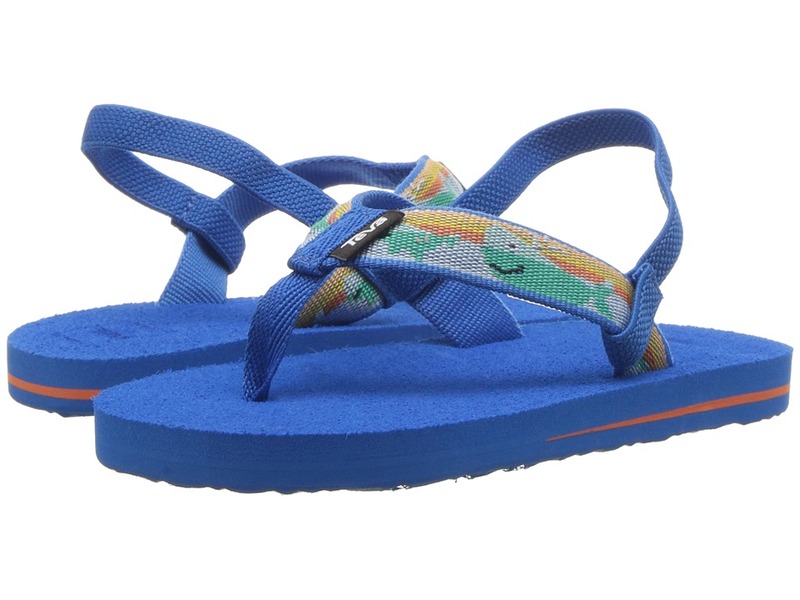 Teva logo at strap and footbed. Imported. Measurements: Weight: 3 oz Product measurements were taken using size 7 Big Kid, width M. Please note that measurements may vary by size. Weight of footwear is based on a single item, not a pair. 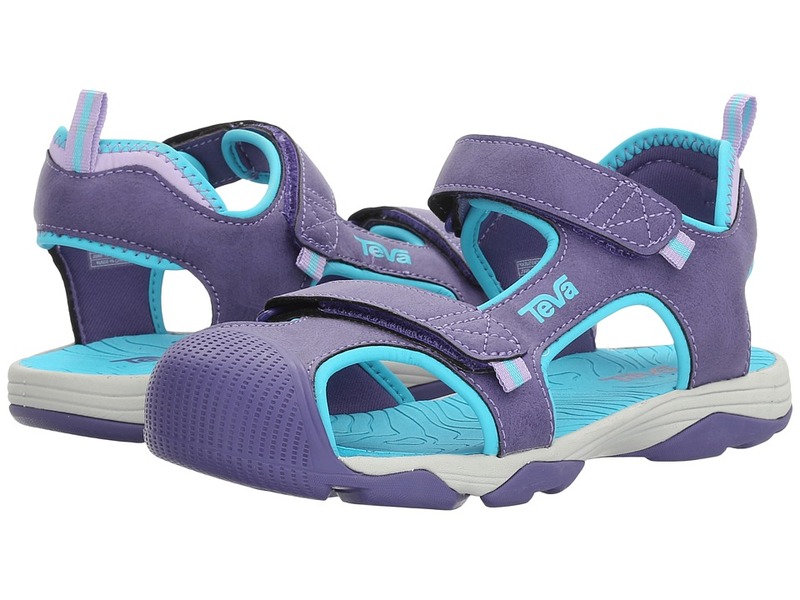 The Teva Kids Toachi 4 is an open sandal with some extra protection to keep your child playing all day long! Water-friendly synthetic upper is cool and comfy. Dual hook-and-loop closure system for easy on and off. Pull-tab at heel for easy entry. Foam lining for plush comfort. Antimicrobial EVA footbed is cushioned for all-day comfort. Lightweight EVA midsole for cushioning that won~t weigh you down. Toe guard protects feet from rough terrain. Versatile rubber outsole with flexibility. Imported. Measurements: Weight: 6 oz Product measurements were taken using size 2 Little Kid, width M. Please note that measurements may vary by size. Weight of footwear is based on a single item, not a pair. They~ll yell Wahoo! in the Olowahu flip-flops from Teva Kids! 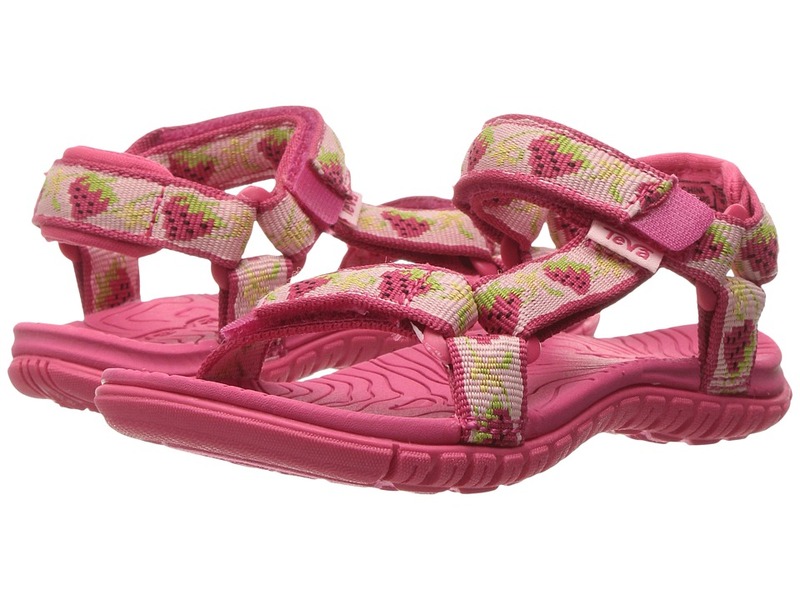 Soft, nylon webbing straps keep feet in place. Easy slip-on construction. EVA topsoles and midsoles with enhanced arch support deliver cushioning and support. EVA outsoles grip surfaces with ease and offer exceptional durability. Imported. Measurements: Heel Height: 3 4 in Weight: 3 oz Platform Height: 3 4 in Product measurements were taken using size 7 Big Kid, width M. Please note that measurements may vary by size. Weight of footwear is based on a single item, not a pair.